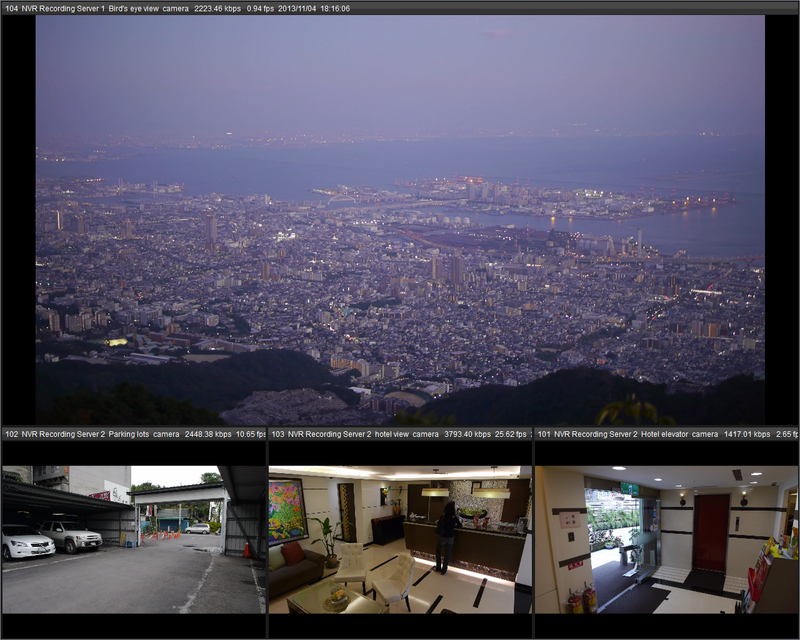 Crsytal Titan supports video wall which is called NuMatrix. In this article, we'll guide you how to setup NuMatrix in Crystal Titan. 1. Kindly open NuMatrix application in your PC. a. Choose the Matrix instance name you want to view. c. By default, it will display a black screen, as you haven’t assigned any live view feed for this Matrix yet. a. Add Matrix in Management Server: "2". b. Go to the "Config" tab and choose the "Physical" icon. 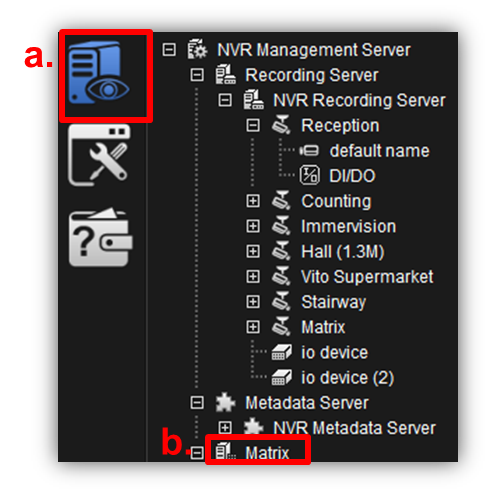 c. Select "Matrix"� in the file tree and press the "+" icon to add a new Matrix. 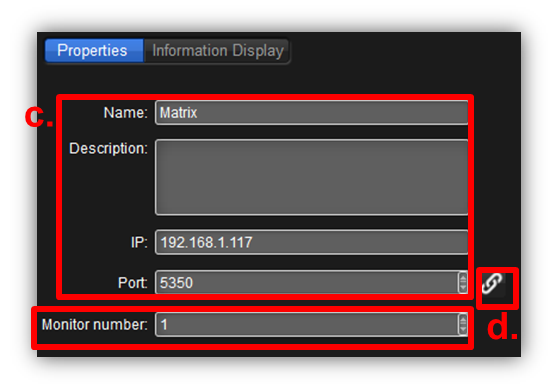 d. Input Name, Description, IP Address (of the NuMatrix application) and the Port number. e. Select the number of monitors for this Matrix�. Click on "Test matrix" button to check if the Matrix is available or not. f. Go to "Live View" tab� and select "Matrix Monitor" --> Click "Connect" button to connect. i. Select a "View" for this Matrix. 3. Now, you are able to see the live view on the NuMatrix.